The new WorldTracker Fleet Manager is an advanced Automatic Vehicle Location (AVL) device that combines GPS technology with GSM GPRS or SMS technology for real time tracking, polling, security and fleet management purposes. One of the smallest and most economical and powerful wireless IP (GPRS/GSM) ruggedized mobile tracking device available today. Includes built in TCP/IP and UDP capability that allows for complete flexibility for a user in customizing a mobile tracking application. 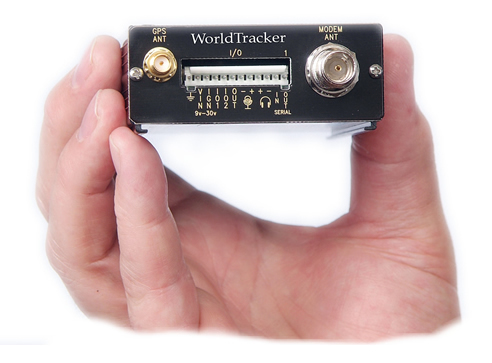 GPS data is made available on-board the WordTracker AVL for transmission to your centralized operations center and/or to our web based tracking service. The wireless data and voice port are designed for e-mail or voice communication with users.